These leggings were originally intended for biking and they’ve been great for that and if you are a cyclist this is a must have for the versatile and changing temperatures of fall and winter cycling. However, what I didn’t expect to find was that the 3\4 knicker would also be a sought after solution to helping find balance in seated postures on the slackline. 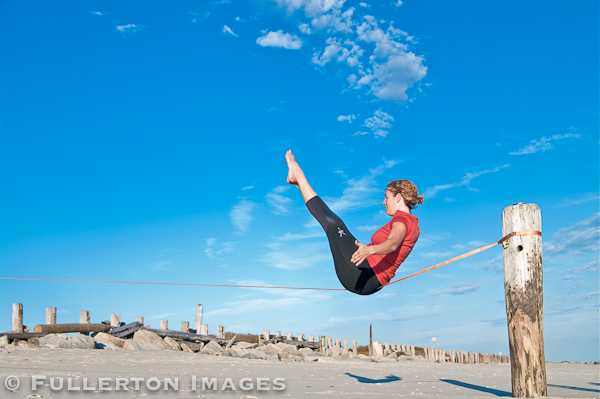 We’ve been telling students for years that the slackline “is not a thong” and basically, when you sit on it there is a specific way to avoid having it go down the center. For the most part it is pretty easy to sit on the line correctly, however the extra padding in these leggings make it also comfortable, even if you happen to let the line slip where you don’t want it to go. 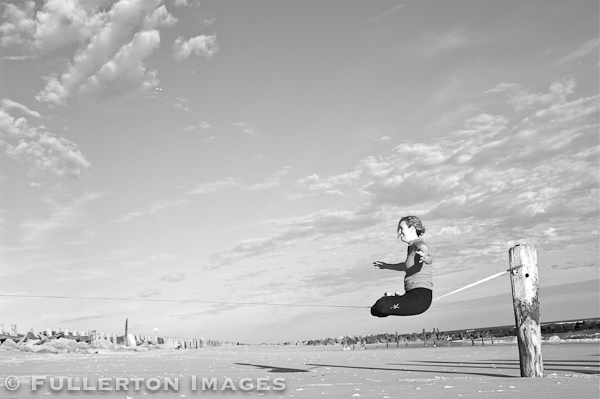 Always good to have a back up plan just in case as the slackline sometimes seems to have a mind of it’s own. As part of the YogaSlackers we are always looking for versatile gear (partially because we live out of our cars and need to save precious packing space) that can handle the elements and everything that we do. This legging fits the bill…I’ve worn them for a full day of mountain biking followed by slacklining and even in a yoga class. They’ve held up, kept me warm when it got cold but were not too hot when we were in warmer temps. Best of all, after days of use, they don’t smell (shocking- but be forewarned- this amazing characteristic of merino wool being virtually odorless might be detrimental if you forget to do laundry regularly…don’t be surprised when you wash them and the water is black). All in all a great product that holds up in many ways.